On Sunday 26th March 2017, Gurkha Company (Sittang) observed ‘Sittang Day’ – the Company Battle Honour. 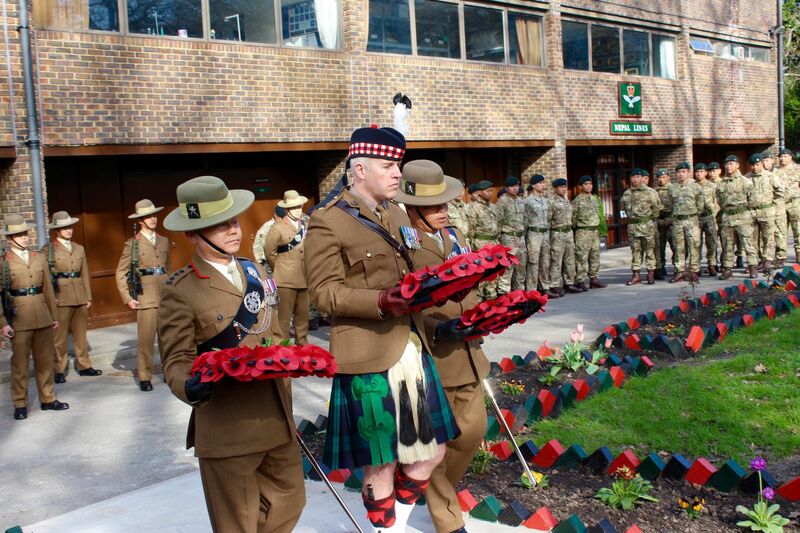 Members of the Company and their families gathered around Nepal Lines in the Royal Military Academy Sandhurst. Major Rambahadur Pun (the previous Officer Commanding) had decided that the Company Battle Honour Day should be marked in an appropriate way and in order to commemorate this historical event, the Company decided to erect a memorial to remember those who fought and sacrificed their lives in the Battle of Sittang (19th to 23rd February 1942). Under the watchful direction of Captain Dilip Gurung, Second in Command, Corporal Shrawan Subba began this project aided by other members of the Company. A month of hard work later, the memorial was ready to be unveiled. On the day, Lieutenant Colonel T J Cave-Gibbs, Commanding Officer, Sandhurst Support Unit, formally unveiled the memorial in the presence of Company members and their families. 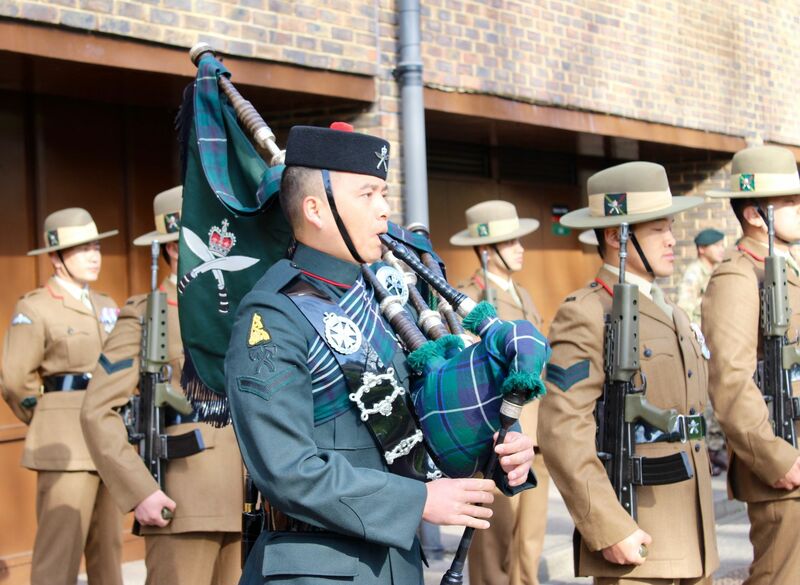 This was followed by a short remembrance parade led by Major Chandrabahadur Pun, the new Officer Commanding. On completion, everyone moved to the picnic area behind Nepal Lines and celebrated with a wonderful meal in beautiful sunshine. Later in the evening, all members of the Company and their families gathered at the Woolwich Hall in Sandhurst to view a new Nepalese movie, “Loot 2” to conclude the day.